UFO SIGHTINGS DAILY: UFO Caught During Sunset In Seguin, Texas On Sept 23, 2015, UFO Sighting News. 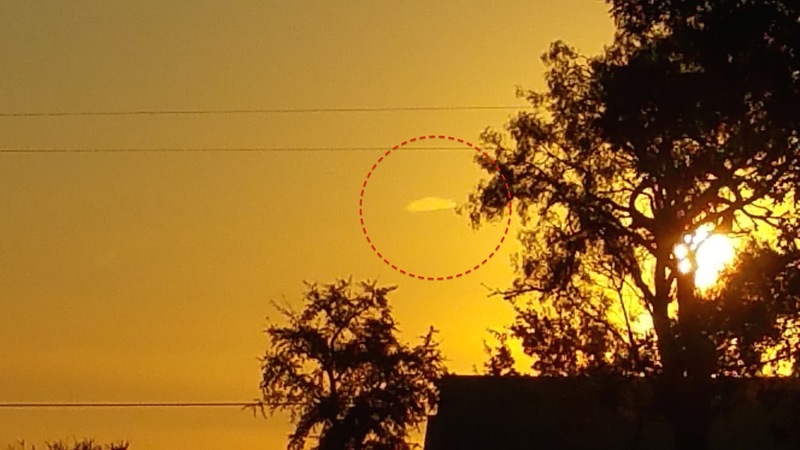 UFO Caught During Sunset In Seguin, Texas On Sept 23, 2015, UFO Sighting News. 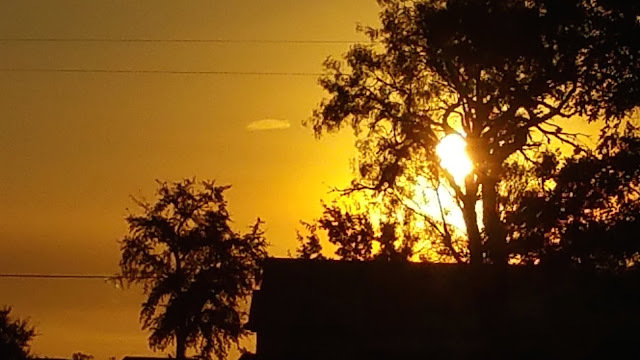 As I have said before, if you want to see a UFO, watch a few sunsets. 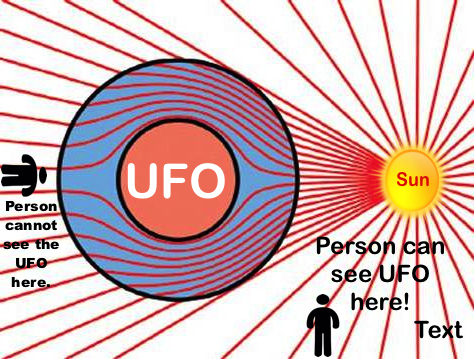 The sun is at a 90 degree angle to the UFO and the cloak on the UFO will bend the light on one side of the UFO more than the 180 degrees needed, which it cannot do, thus it becomes visible. 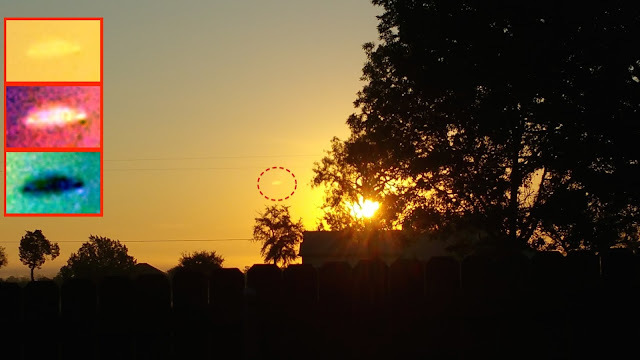 I was outside in the morning having a cup of coffee when i noticed a star to the East, which is not unusual. 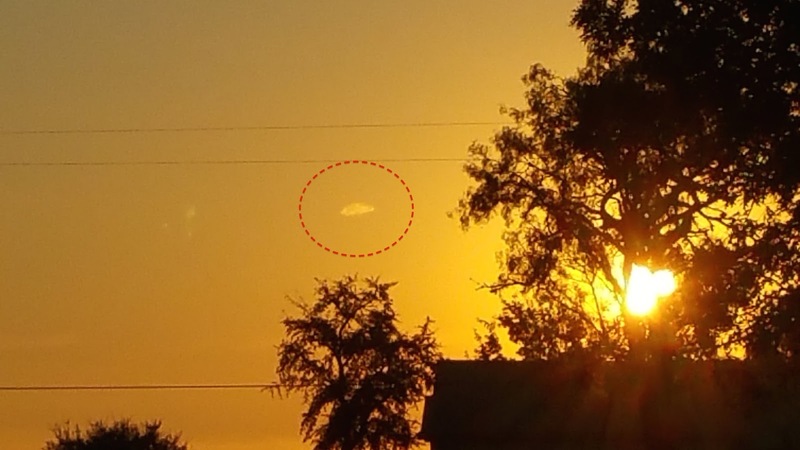 The star was bright and i looked away and when i looked back it was a long line up and down and i thought thats strange its just a weird cloud. Then it changed back to a circle and thats when things got really strange. The circle got bigger and then it flattened out the the disk shape i have in the pictures. 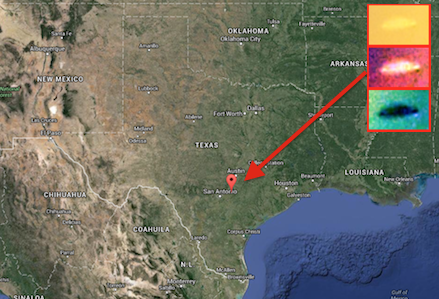 I went and got my phone because i thought nobody is going to believe me. Especially my husband.